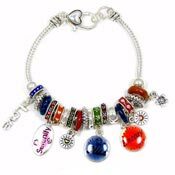 European style bracelets are bracelets that have a chain, cord, leather or other material as the center core. 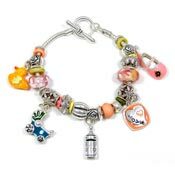 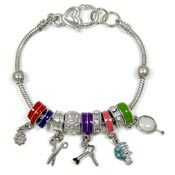 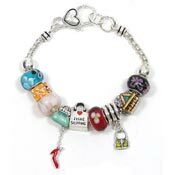 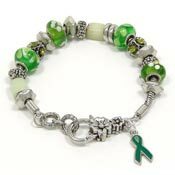 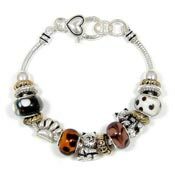 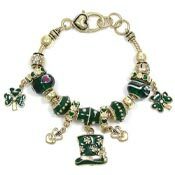 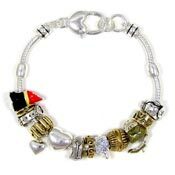 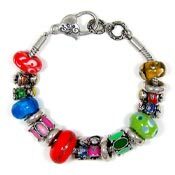 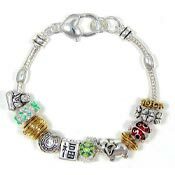 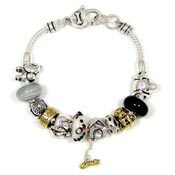 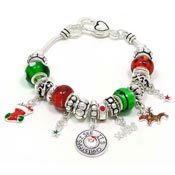 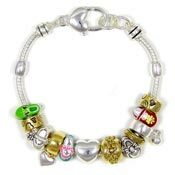 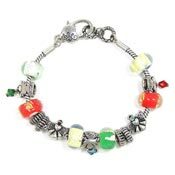 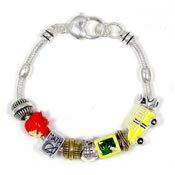 Large hole beads and bead like charms are threaded onto the bracelet and they can slide back and forth. 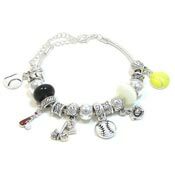 We like to call them slider bead bracelets because of this.